Way back when, a friend would occasionally stop by our apartment near the University of Oregon campus. He’d pull some marijuana out of his pocket, roll up a joint and share it with us. Everyone feeling relaxed, we’d make the purchase: twenty dollars for a baggie. It was all very friendly. I have recently written about urban renewal and the consequences for those in its way. Here is twelve-minute film celebrating the never-built freeway through a southeast Portland neighborhood and the subsequent change of direction in the city’s planning. It’s from 2006, so you won’t see the homeless who have since set up camp in Waterfront Park. Joe Brancatelli is a travel writer. His audience is primarily people who travel for business. You may or may not be amused by this recent column: a tongue-in-cheek review of advice about the dangers to tourists in a certain country. I was not quite nineteen years old when I first visited New York City. I rode a bus from the Port Authority terminal to Staten Island, where my father’s WWII buddy lived. He put me up for the night before I met up with my friend who was to arrive the next day. My father’s friend and his teen-aged son took me on a brief tour of the city that evening. 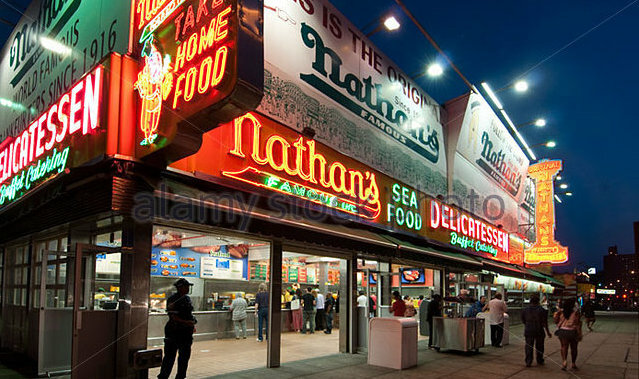 The highlight was Nathan’s Famous on Coney Island. He bought me a hot dog and a glass of beer. (The legal drinking age in New York at the time was eighteen.) I stood at an outside counter with my hot dog and beer. I felt pretty cool. The story of Nathan Handwerker is pretty cool, too. 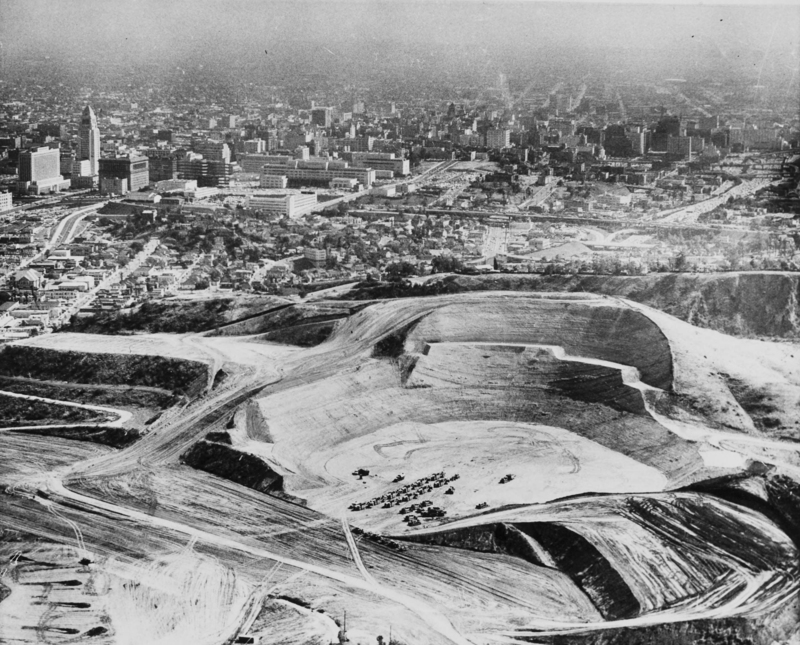 Dodger Stadium opened in 1962. Even today, more than fifty years later, there are still people who will not set foot inside the ballpark at Chavez Ravine – and not because they are Giants fans. 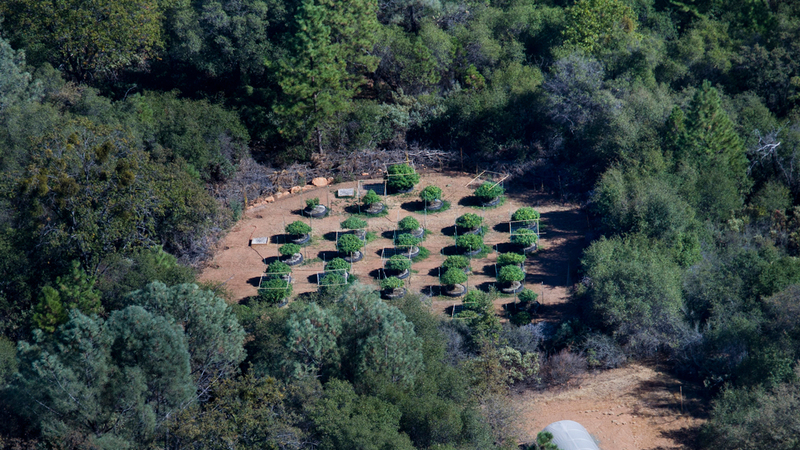 Posted byGeorge Rothert July 27, 2016 July 24, 2016 Posted inPlaces, PoliticsTags: Chavez Ravine, Dodger StadiumLeave a comment on Urban Relocation in L.A.
Nicholas Kristof grew up on a farm in Yamhill, Oregon. He works for the New York Times, traveling the world, reporting from wherever there is human suffering. In 2005, when pundit Bill O’Reilly was promoting his annual “War on Christmas,” Kristof offered to show him what war really looked like. Mr. O’Reilly did not take him up on the offer. Mr. Kristof recently published a piece on a timely subject: race and white delusion.